Many home buyers are attracted to older homes because of their unique architecture, history, location, and value. And while many older homes have had multiple renovations to update them for 21st century life, they may be lacking one important element that homeowners often take for granted: modern and reliable plumbing. Pipes made with galvanized steel were popular for decades, but they fell out of favor during the early 1970s due to their limited lifespan. 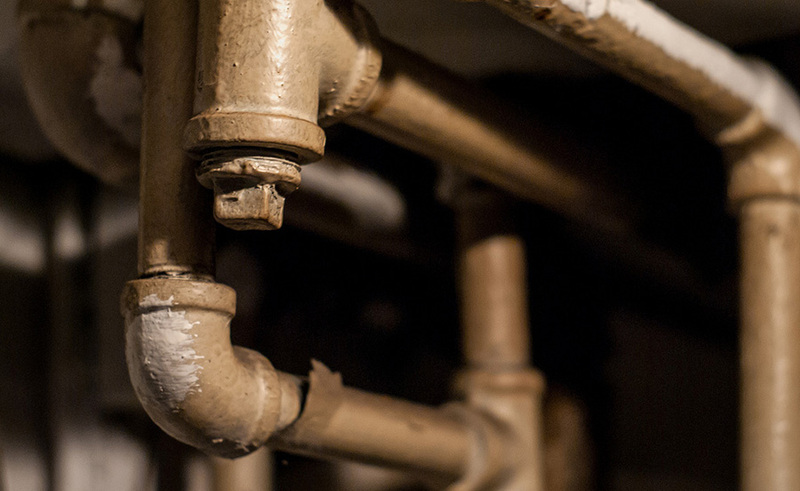 Unlike modern pipes, galvanized pipes are prone to the accumulation of rust and corrosion, which affects them the same way plaque affects arteries. Over time, the pipes become narrower and narrower until water flow is affected or the pipes begin to leak or even burst. Polybutylene pipes were used in some homes from the 1970s until the mid-1990s, but they also had significant drawbacks like galvanized pipes. Common issues with polybutylene pipes include oxidants in public water systems reacting with the plastic interior of the pipes, resulting in flaking and brittleness. Eventually, the pipes will fail and burst, resulting in significant water damage. While your local municipal water company owns and is responsible for sewer and water lines running through your neighborhood, you’re responsible for the lines on your own property. And if you own an older home, those lines may be manufactured with outdated materials like iron or clay. They also may have been damaged by years of root growth from trees and nearby plants. Another source of sewer line damage in older homes is the natural shifting of the home itself and the earth. Pipes that are perfectly aligned and carefully installed may work without issue for decades, but over time, the shifting of the home, the home’s foundation, and the soil can cause misalignments, resulting in dips in the sewer lines that can disrupt water flow. No matter how well-constructed a home is or the quality of its pipes, there’s a good chance that it will eventually need both minor and major plumbing repair work. And with older homes, it’s practically a guarantee that there has been some form of repairs completed on pipes, drains, faucets, and water heaters. Unfortunately, many of those repairs are often band-aid solutions that work only temporarily. Eventually, the problem will resurface, potentially causing major water leaks and damage. Whether you own or are thinking about buying an older home or a new home, it’s important to make sure that its plumbing system is problem-free and not a disaster waiting to happen. We can inspect your plumbing using cameras to find things like breaks, cracks, obstructions, incorrect fittings, and more. Contact Aqueduct Plumbing Company today to set up an appointment by calling (281) 488-6238.